If you’re looking for a mowing trailer for sale, look no further than Blue Star Trailers. Our 8 x 5 lawn mowing trailer is specifically made for transporting plants, grass clippings and tools. Featuring an enclosed box, you can be sure that nothing will blow away in high winds. Optional extras include your choice of colour and new tyres and rims. This model also comes complete with a structural warranty for additional peace of mind. 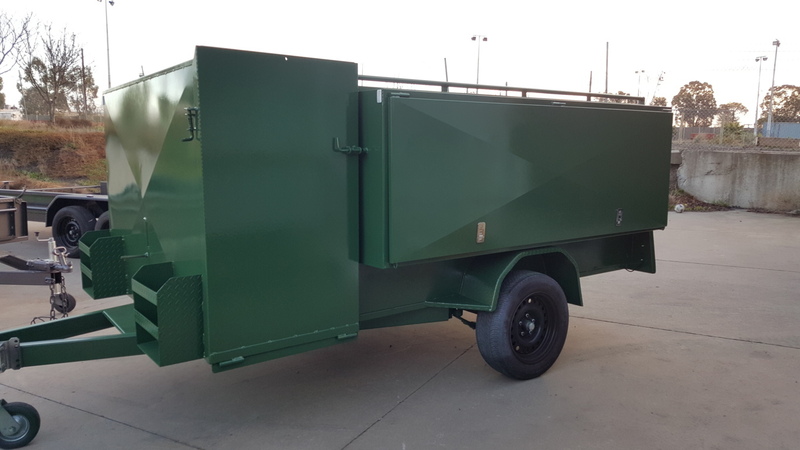 To learn more about our mowing trailer for sale, call Blue Star Trailers today on (03) 9042 4390. Our staff will be happy to provide you with more information and answer any questions you may have.